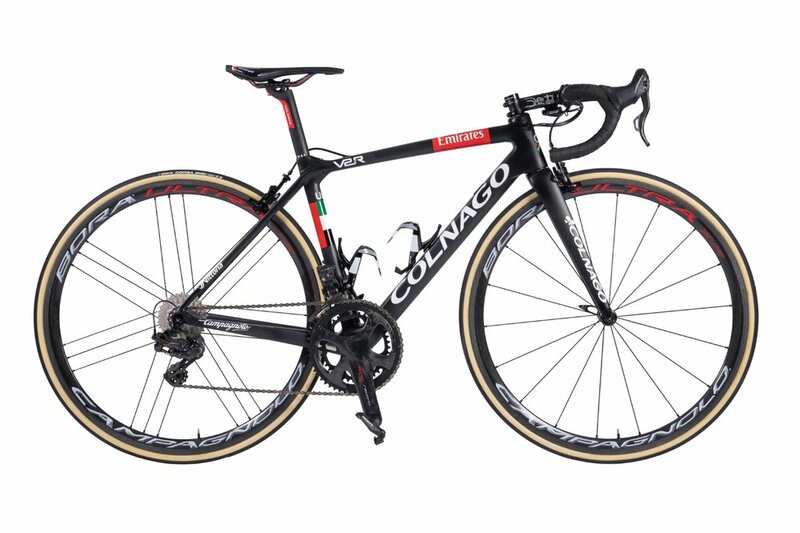 The V2-R is the lightest monocoque frame in Colnago’s arsenal. The newly designed V2-R is at an acclaimed weight of just 835g. To allow for such an achievement, Colnago uses only the finest of carbon fibre materials available and through very precise engineering were able to achieve such an impressive feat. The V2-R does not fit the bill with the weight weenies but also appeals to the performance hunters. The bicycle is designed with the latest trends in mind. Braking standards have now been updated to accommodate Direct Mount brakes allowing the use of 28c tires. The bottom bracket area has also received some upgrades; constructed with Colnago’s latest ThreadFit 82.5 bottom bracket developed in conjunction with Ceramic speed promoting both reliability and stiffness. Getting part of the Concept’s aerodynamic integration, the V2-R has received the same treatment in the area of its seat post and clamp. The seat post is also truncated and made thinner to shed weight and increase the frame’s aerodynamic properties. The V2-R is also available in a Disc Specific frame adhering to the latest industry standards. Being both lightweight and incredibly stiff makes the V2-R one of the lightest frames suitable for both the racer and enthusiast alike.